Nurture box was created by Eddie and Alice; the idea occured when they were expecting their first child. From this they started looking at what products would be helpful and ideal to them, however they found so many. I'm sure alot of you parents will be able to relate to this. 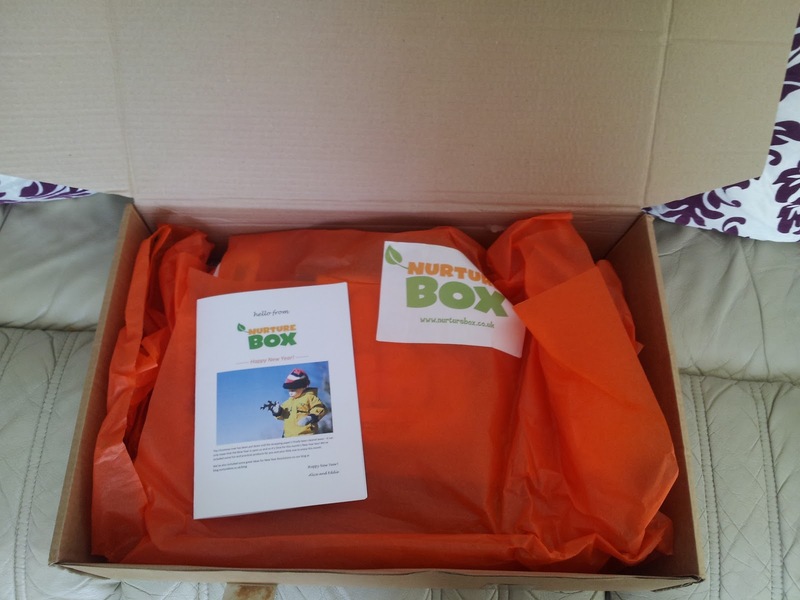 From this they created Nurture Box a subscription package which keeps on giving. They also have a 'Parent Panel' who through product testing help them choose the best products to include within the boxes. This also means companies are unable to inturn pay for their products to be featured within the box. 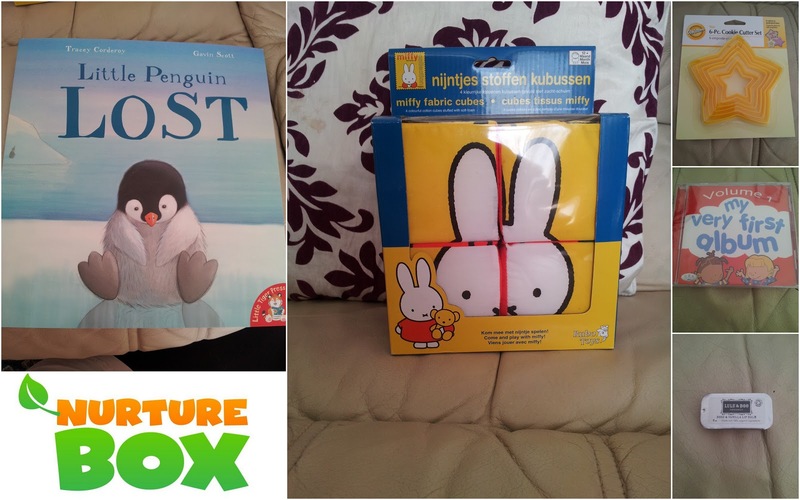 The lovely people at Nurture Box gave me the opportunity to review one of their boxes. I was sent the January box on the theme of 'New Year Box.' This box included some lovely products however I will start with the packaging. I received a lovely large box of gifts, upon opening the box there was lovely orange tissue paper with a 'Nurture Box' sticker on them. This was so neatly packaged I didn't really want to open, but also couldn't wait to see my lovely gifts. 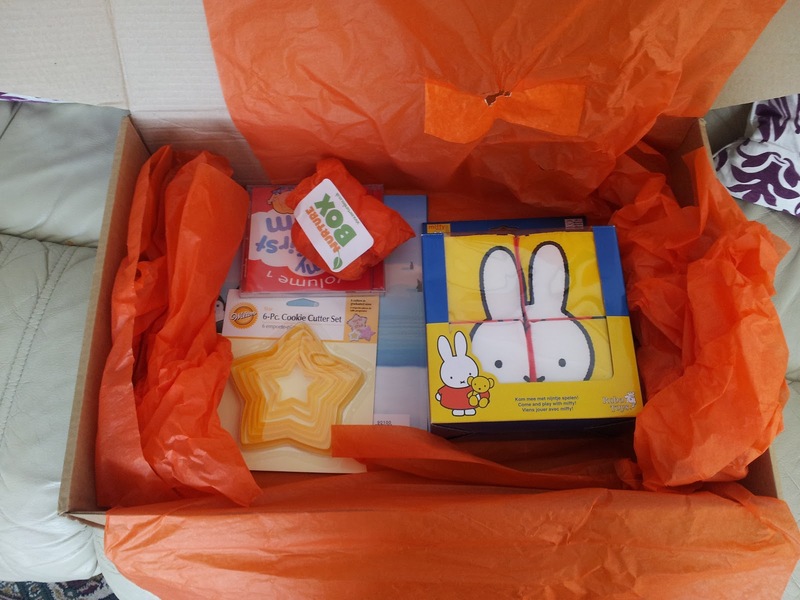 Within the box we received Miffy Fabric Cubes, Little Penguin Lost book, My Very First Album, Cookie Cutters and Lulu and Boo Lip Balm. Five lovely items for both Jack and I. Within the box with the products is also a leaflet which explains about the products and also the recommended retail prices of them. nbsp;A heart warming story about a penguin who has to suffer the trauma of losing his favourite toy. An ideal story for any child (and parent) who have experience something similar. nbsp;Here's another great New Year treat. These textile cubes will also offer a great opportunity for your little one to develop his hand-eye co-ordination and spatial awareness. The winter months are a great time to get on with some fun indoor activities, including some baking with your little one, so we've included these cool cookie cutters in this month's box! As children we loved a good sing-a-long, and as adults we still do too! This CD is a great musical family fun and has a mixture of some old favourites with some newer takes on old songs too. It's been a really cold winter so far, so we thought we'd send out something to help our Mum's get through to Spring! This lovely organix lip balm provides serious repair for dried cracked lips and smells great too. As you can see from the above information taken from the leaflet you get enclosed with your box, you can see you get great value for money! Jack and I really enjoyed the products we love. We enjoy reading a story to Jack, and he throughly enjoyed 'Little Lost Penguin' the pictures in the book are lovely and bright and kept him amused. He has also enjoyed playing with the Fabric Cubes. Although he is not yet able to match up the colours I know in the future he will be able too. We also enjoyed listening to the album and Jack enjoyed the variety of songs. The Lip Balm came in really useful for me, I have had a cold which always makes me have dry skin especially my lips and this has worked wonders! I love how the box has something for both parent's and children. The only downside I see to this box is it may seem a little expensive and occasionally you may get gifts which do not suit the age/stage/development of your child. However if I was purchased one of these boxes or had some spare cash I would definately invest in a Nurture Box. Also, for pregnant friends I would consider this as a gift, something different to the usual items. Please Note. These products were sent to me from Nurture Box for the purpose of this review, all opinions and wording are my own.